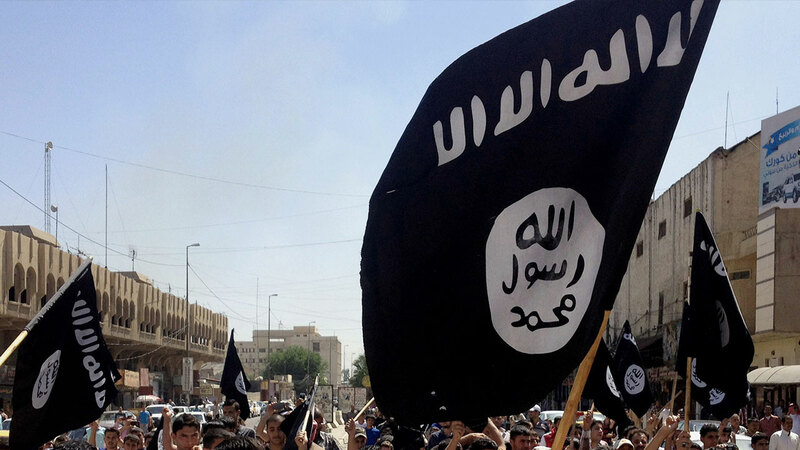 FILE - In this June 16, 2014 file photo, demonstrators chant pro-Islamic State slogans as they carry the group's flags. HONOLULU, Hawaii -- A 34-year-old U.S. Army soldier was arrested Saturday in Hawaii on charges of providing material support to the Islamic State, according to the Federal Bureau of Investigation. Ikaika Kang, an active-duty soldier from Waipahu who was stationed at Schofield Barracks in Hawaii was taken into custody by an FBI SWAT team July 8. "Kang has been under investigation by the U.S. Army and the FBI for over a year," the FBI agent in charge said. "FBI assets and Army investigative resources were continuously deployed to ensure the public's safety during the course of this investigation and Kang's eventual arrest." According to a criminal complaint filed against Kang in U.S. district court, Kang "swore allegiance to ISIS, attempted to provide military documents to ISIS, and attempted to provide training to the terrorist organization." Authorities believe Kang acted alone. Kang remains in federal custody and is expected to make his first appearance in court Monday.